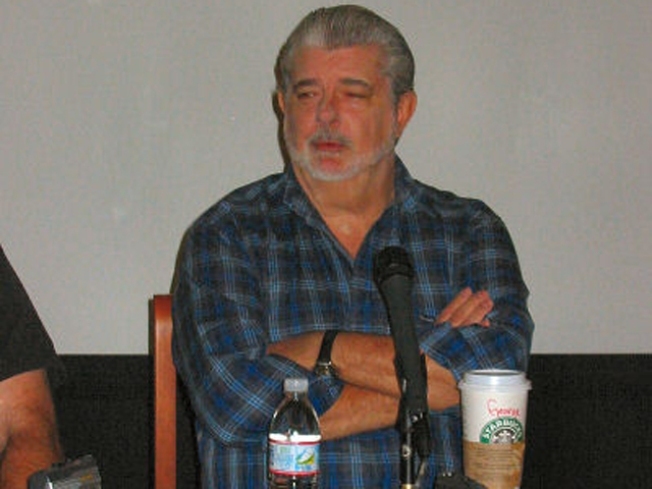 George Lucas with his Starbucks cup. If you can't have the force with you, how about the coffee cup of the main that coined the phrase? An "extremely rare" Starbucks coffee cup, that was once graced by the lips of the infamous George Lucas, was auctioned off on eBay by a man who didn't deserve to have his hands on the cup to begin with. The temporary owner of the cup said he got his hands on the holy grail of Star Wars junkies during a press event at Skywalker Ranch earlier this year. Lucas, whose name is written on the cup along with his special order, left the empty container at his table once he was done drinking. How do we know the cup is legit? Said auctioner says he has photographic proof of Lucas sipping from the cup with its unique trademarks. The ReelGuyz.com won the cup for a bid of $51 and they are open to ideas on what to do with it. So unless you want to see it lit on fire or pushed down a lake, let your voice be heard.